5 stars - "Epson Stylus NX125 All-in-one InkJet Printer with CISS" by Kristin	, Written on 2012, 15:48/07/26 Handy scaner and printer too. Buy Printer Epson Stylus NX125 with CISS and make 30 times more quality prints for the same money! For those people, who are interested in inexpensive, but multifunctional printing device, and also who appreciate quality and reliability, we would like to represent MF Epson Stylus NX125. This device is fitted with all the necessary functions to take a place at your home and to become your right hand in solving different office tasks. Due to its classic design and small size printer will gratify you day by day with its steady operation and high efficiency. This device fulfills a function of printer, scanner and copier, at that it manages to complete all tasks in hand equally well. Stylus NX125 will perfectly suit for everyday using, it is easy installed and simple to run, but it will allow you to make a copy and to scan a document in one moment. 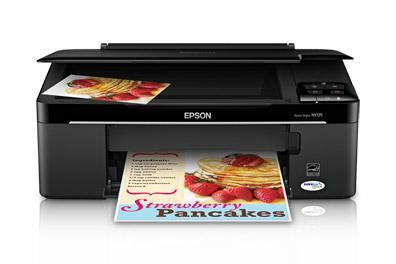 A good printing speed (up to 30 pages per minute) and a high quality, that is typical for all the Epson inkjet printers, makes it more attractive for users. 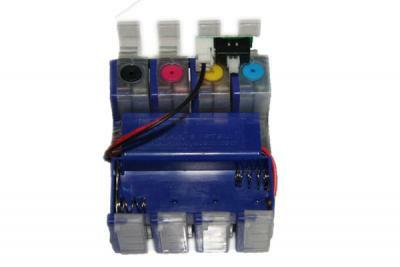 It caused by the fact, that Epson NX125 printer works according to the piezoelectrical ink application technology, and at the heart of the device is a printing head of new generation MicroPiezo, that remains reliable even in the constant loads. The main advantage of this printing technology is an excellent quality. The value of ink drop achieves minimal size, and this technology allows to control its shape, up till the coating on paper. Unsurpassed quality of color printing will allow you to get steady, high-contrast image with an accurate color rendering. Also, Epson printer NX125 could rejoice you with convenient scanning, the applied software will let you save documents and photos in JPEG and PDF formats directly. You could make a copy just by pushing one button, and the resolution of 600x1200 dpi insures you a good quality of copies both colored and black-and-white. Epson Stylus NX125 all-in-one printer is a multifunctional device, that is supposed for everybody, who wants to have an inexpensive compact device at home, and at the same time which will perfectly cope with the main tasks of office printing device- a high-quality printing, convenient scanning and speedy document copying. If you are seeking for a multifunctional and compact device, we recommend you to consider Epson WorkForce 520 and Epson WorkForce 323, which have an additional function of fax and built-in Wi-Fi module, that makes dealing with MF easier. This device could rejoice you with its efficiency and qualitative printing, but the expenses on consumables make you think about all possible ways of saving. 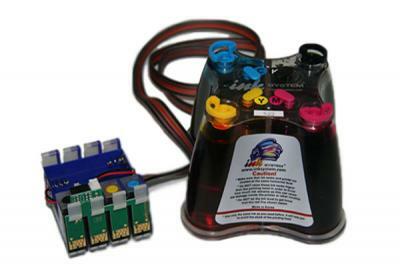 With appearance of Continuous Ink Supply System, a long and inexpensive printing became possible. With CISS you get not only secured economy up to 30-40 times, but also a reliable lasting work of the device. NX125 Epson model with CISS will let you enjoy completely the printing process without any troubles. 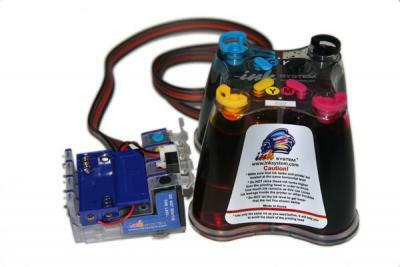 Continuous Ink Supply System doesn't take a large space, it also doesn't worsen the quality and doesn't change any configurations of the device. MF Epson NX125 with Continuous Ink Supply System guarantees not only essential printing economy, but also a long-term reliable operation of the device. This model combines all the necessary functions and at the same time remaining affordable enough to be able to become popular with customers and win their loyalty than a year. Borderless Sizes: 4" x 6"
Handy scaner and printer too.